Get a snapshot of what’s happening on your website with 10 easy to interpret and super useful reports using our jargon-free Google Analytics guidebook. Highlight potential problems in sales copy, website extensions, or product offerings so you can fix them. 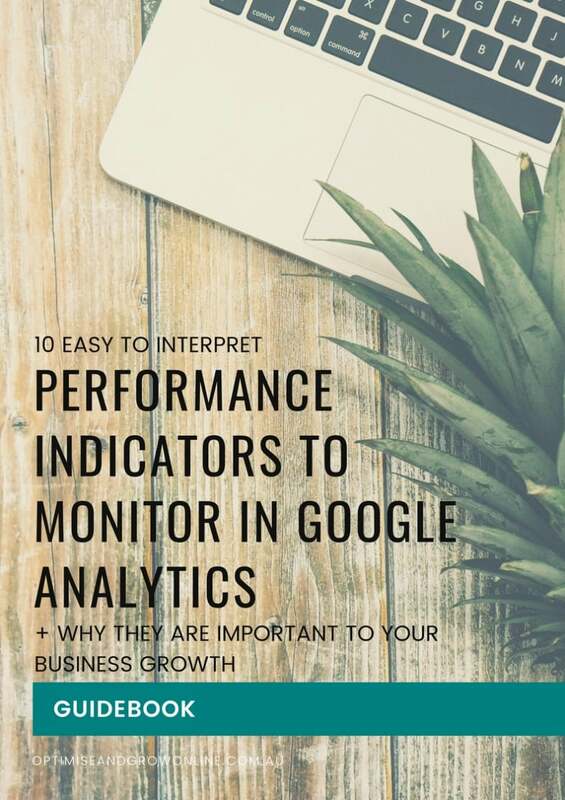 Enter your details below to sign up for the Optimise and Grow Online newsletter and get a free copy of our ‘10 Easy To Interpret Performance Indicators To Monitor In Google Analytics’ guide book sent straight to your inbox.